06/19/0165/F: 53 The Green Martham NR29 4PF. Replacement of existing thatched roof with clay pan tiles. 06/19/0010/F: Proposed single storey rear extension, 15 Willow Way, Martham. 06/19/0071/F: Construction of 47 energy efficient dwellings, including associated open space, drainage infrastructure, vehicular access and associated highway improvements. 06/18/0457/F: Retrospective application for decking area, wooden shed, wooden outbuilding and wooden awning. 154 Repps Road Martham NR29 4QZ. 06/19/0077/F: Erection of two bungalows with garages. 28-30 The Green (Land rear of) Middleton and George Ltd, Mr R Middleton, Fastolff House, 30 Regent St Great Yarmouth NR30 1RR. 06/19/0043/F: Provision of temporary welfare unit, Water Management Alliance Martham Depot Cess Rd, Broads Internal Drainage Board. 06/18/0677/F: Proposed rear and side flat roof single storey extension. 06/18/0704/F: Renewal of planning application 06/18/0483/F: Location of temporary sales cabins and three parking spaces. 06/18/0648/F: Two storey rear extension, 24 Rowan Road, Martham. 06/18/0668/D: Approval of reserved matters – 2 dwellings, garages with vehicle & pedestrian access from Alder Avenue. 06/18/0677/F: Proposed rear and side flat roof single storey extensions, 4 Marlborough Green Crescent Martham. 06/18/0397/F Proposed rear extension to join main dwelling to garage 3 Broom Close NR29 4TU. GRANTED. 7 Hyrn Close NR29 4QY. 4TU.06/18/0450/PDC: Proposed change of use from storage to dwelling. The Old Exchange Common Road. 06/08/0457/F: Retrospective application for decking area, wooded shed 154 Martham Rd NR29 4QZ. 06/18/0483/F: Location of temporary sales cabin. Persimmon Homes NR29 4PG. 06/18/0513/F: Proposed new dwelling, 6 Pyman Close, NR29 4UR. 06/18/0278/F: Upgrade the foul sewerage facilities to a sewerage treatment plant and relocate in the eastern corner of the depot site. GRANTED. BA/2018/0227/FUL: Change of use of land to accommodate a campsite associated toilet, shower block and parking area. 096/18/04374/F: New front entrance hall, replacing existing. New dormer window to master bedroom. 2 Moregrove Lane Martham, NR29 4QA. 06/08/0312/F: Proposed alterations and extensions, 13 Black Street, Martham, NR29 4PN. It was AGREED to contact GYBC planning department to request a site visit regarding Health and Safety. 06/18/0278/F: Upgrade the foul sewerage facilities to a sewerage treatment plant and relocate in the eastern corner of the depot site. Water Management Alliance Martham Depot. Broads internal Drainage Board, NR29 4RF. 06/18/0352/F: Single Storey extension, 41 Gatehouse Martham. Applications received from GYBC for comment: 06/18/0267/F – Existing pub forecourt to be raised above road level, paved and provided with boundary railings. Kings Arms Public House NR29 4PL. Application received by Council on 24/5/18. NR29 4PN – Proposed two storey extensions to rear and internal alterations. GRANTED. 06/18/0229/F – Single storey side extension, Rectory House Repps Rd, NR29 4RA. 06/18/0228/A – New Advertisement signage for Business, 7 Hemsby Rd, NR29 4PB. 06/18/0243/F – Variation of conditions 2, 16 and 17 of Planning Permission 06/15/0486/F. 06/18/0124/F – First Floor Extension over part garage GRANTED. 06/18/0191/F: Paston Cottage, 6 Black Street, NR29 4PN – Proposed two storey extension to rear and internal alterations. 06/18/0196/F: 78 Repps Road, Martham, NR29 4QT – Single storey annexe to the rear. 6/18/0124/F: 150 Repps Road, Martham, NR29 4QZ – First floor extension over part garage. 06/18/0145/F: 19 Willow Way, NR29 4SB – Proposed new conservatory. 06/18/0145/F—19 Willow Way, NR29 4SB – Proposed conservatory and PV panels to side elevation. 06/18/0149/O—Repps Road (Land North of) NR29 4QZ – Outline planning application. 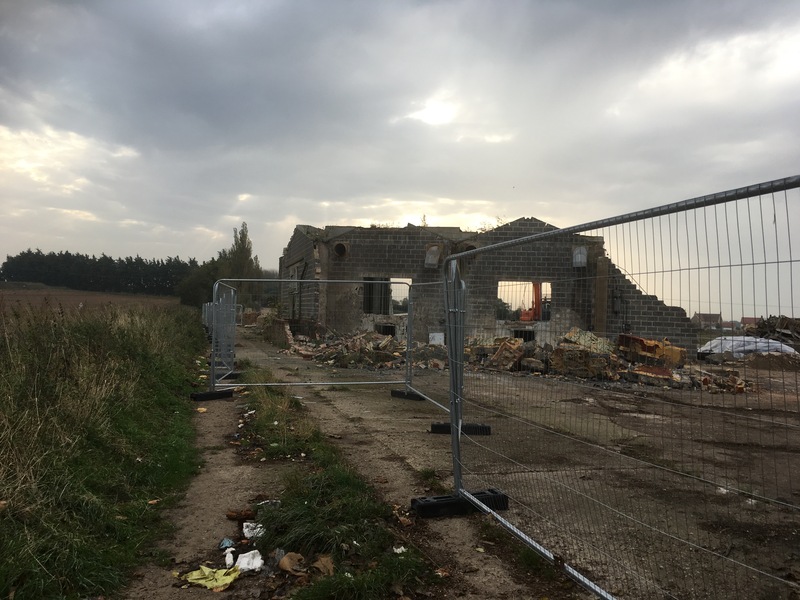 06/17/0779/CU: 70 Damgate Lane, Sunnyside, Martham NR29 4PZ – Change of use from agricultural land to additional garden space. 06/17/0611/F – 27 The Green, Brooklyn House, NR29 4PL. Fitting of an Air Source Heat Pump – diesel fuel tank and a diesel fired boiler. All located externally. PERMITTED. 06/17/0779/CU—70 Damgate lane, Sunnyside, NR29 4PZ. Change of use from agricultural land to additional garden space. 06/17/0700/F—Flegg High School, Somerton Road, Martham. Retention of existing 5 bay classroom block for a further 10 years. PERMITTED. 06/17/0699/F – Flegg High School, Somerton Road, NR29 4QD. Application for the retention of existing 3 bay classroom block for period of 10 years. 06/17/0700/F – Flegg High School, Somerton Road, NR29 4QD. Retention of existing 5 bay classroom block for a further 10 years. 06/17/0740/F: 37 Hemsby Road, Martham NR29 4QQ – Two storey extension to side. 06/17/0738/CU: Former Mushroom Farm (Land adj) White Street Martham NR29 4PQ – change of use from Agricultural use to Residential use. 06/17/0751/A: 10 White Street (Durban House) Martham NR29 4PQ – application for two free advert boards. 06/17/0602/F – 55 Staithe Road, Martham, NR29 4PY. Construction of a small timber outbuilding to house therapeutic spa. 06/17/0582/LB – 27 The Green, Brooklyn House, Martham, NR29 4PL. Fitting of an Air Source Heat Pump – diesel fuel tank and a diesel fired boiler, all located externally. 06/17/0611/F – 27 The Green, Brooklyn House, Martham, NR29 4PL. Fitting of an Air Source Heat Pump – diesel fuel tank and a diesel fired boiler, all located externally.